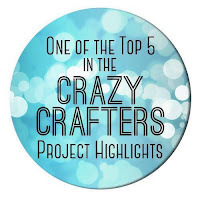 This card is included in the Crazy Crafters Project Highlights. 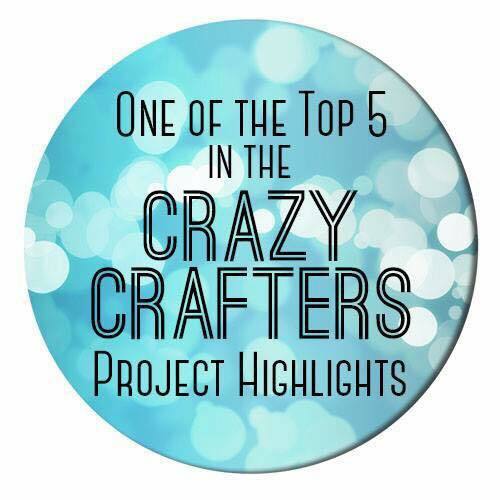 Click here to see the full line up of projects and vote for your favourites. The embossing paste is so much fun to use! 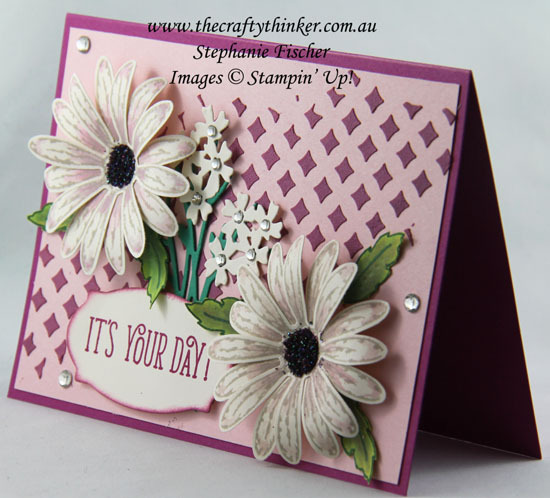 The base card is Berry Burst with a decorative layer created on Powder Pink cardstock. This is another of my initial trials with the Embossing Paste to which I added a drop of Fresh Fig ink. 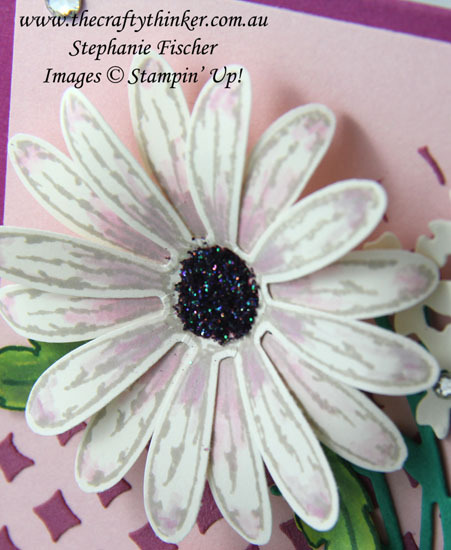 The Daisy Delight flowers are stamped with Sahara Sand ink on Very Vanilla cardstock. I then lightly watercoloured with a mix of Berry Burst and Sahara Sand inks before cutting with the matching punch, curling with a bond folder and using a ball tool on the centre. The rest of the flowers and foliage are from the Bouquet Bunch set. 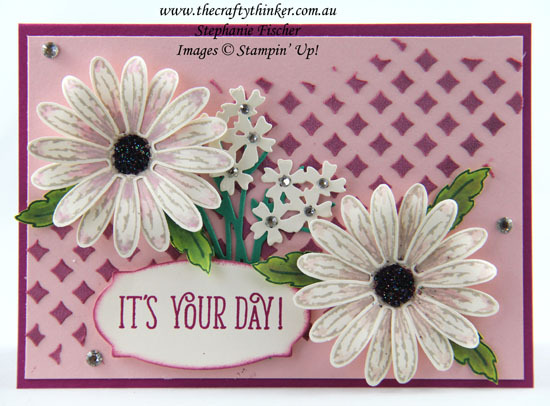 The greeting from Happy Birthday Gorgeous is stamped with Berry Burst ink onto Very Vanilla cardstock and cut with the label from the Rose Garden thinlits then edged with Berry Burst ink. For the daisy centres, I coloured some Dazzling Diamonds Glitter with Fresh Fig ink and a few drops of rubbing alcohol and left it overnight to dry before adhering to the flowers with some adhesive. Between the flowers, embossing paste and label raised on foam, the card has a lot of dimension!